A classic style wood dining table, chairs, chandelier, and curtins. It come in obj and fbx. 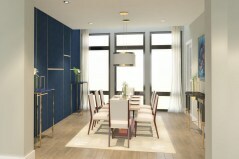 A modern dining room 3d model for home interior. It comes in OBJ, FBX, MB. 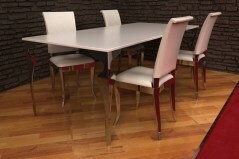 Luxury dining room set table and chairs with details, it comes in format OBJ, FBX, MB. Luxury table and chairs set format OBJ, FBX, MA. Download it from this page. 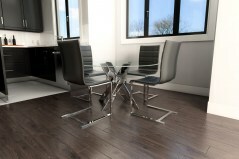 From this section you can download our dining room sets 3d models. Browse contemporary dining room archmodels for renders and architectural interior projects. 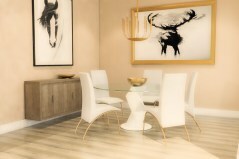 Discover trendy dining rooms 3D models ready to import in your 3d software in format OBJ, FBX, 3DS, MA. From rustic modern to modernist country, the style to choose the dining room you love. 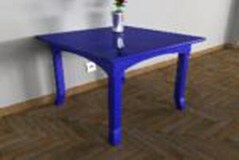 Make your customers happy by show those very expensive look dining rooms and furnitures 3D models.